with their sleep related problems. We perform sleep studies in multiple locations. 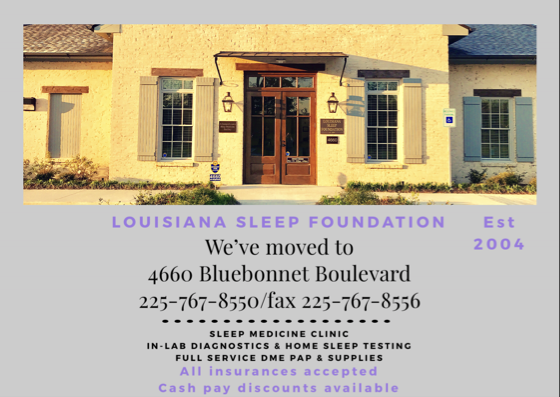 Our main office at 4660 Bluebonnet Blvd is the location where patients are seen in clinic and is an AASM accredited facility member.